With a degree in Business Administration, from the Universidade Lusófona de Humanidades e Tecnologias de Lisboa, Delmindo Almendra is Certified Accountant (Order of Certified Accountant) and has knowledge in terms of real estate, from the Instituto Nacional da Construção e do Imobiliário. He began his professional activity in restoration, always focused on business and the share assignment of various commercial areas, in order to revitalize and energize the respective establishments. 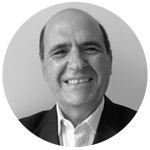 Today, with 25 years of professional experience, Delmindo Almendras is managing partner, consultant, manager and evaluator of financial business as well as responsible for marketing and communications of AREAGESTxxi department. 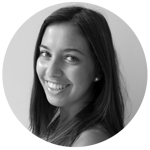 Clara has a law Degree and Postgraduation in Law in Strand-Civil Legal Sciences, both from the Universidade Autónoma de Lisboa. Clara completed a course of Internationalization of Enterprises for Trade and Services, at Instituto Superior de Economia e Gestão. She joined AREAGESTxxi in 2005 where she held consulting roles in the legal, tax and commercial. In 2007 Clara became partner giving support to all the company businesses. 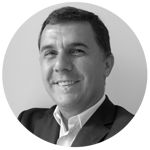 Nuno holds an intensive knowledge in the restoration field, due to his wide professional experience, gained for several years in the same area. Acquired over the years several businesses in restoration in order to restructure them. In 2005 Nuno joined the AREAGESTxxi to be responsible of the commercial area and support the various businesses. 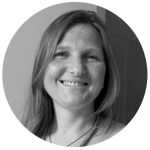 Sandra has a degree in Business Administration, from Instituto Superior de Economia e Gestão, and Master in Accounting and Corporate Finance, at the same institute. Recognized by the Order TOC, Sandra is a Certified Accountant. 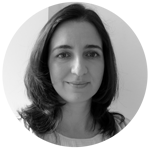 In 2012 Sandra joined the team of AREAGESTxxi which supports the Department of incentives and developments in particular in making applications for communitary funds to finance SMB (Portugal Program 2020). Sandra also helps the beneficiaries of unemployment to develop a career or create their own job. Cristiana has a degree in Applied Communication (Marketing, Advertising and Public Relations), from Universidade Lusófona de Humanidades e Tecnologias de Lisboa, and a Master in Marketing Management, from Instituto Português de Administração e Marketing de Lisboa. She joined AREAGESTxxi in 2015, to integrate the Marketing and Communications department, which supports the company’s marketing and communication strategy.